Can I use bleach to clean my rug fringes? Fringe cleaning is like an art form that we take very seriously. It is not uncommon for us to spend more than one cleaning process on fringe by hand plus extra grooming steps at the very end. The most common type of fringe is cotton. You will not find any bleach in our Rug Worx facility because it will cause chemical damage and weaken the cotton fibers. If your fringe is coming out easily (pictured above) or breaking off, that is indicative of chemical/bleach damage. We have proper cleaning methods and solutions for cleaning fringe that provide fantastic results and do not involve bleach. 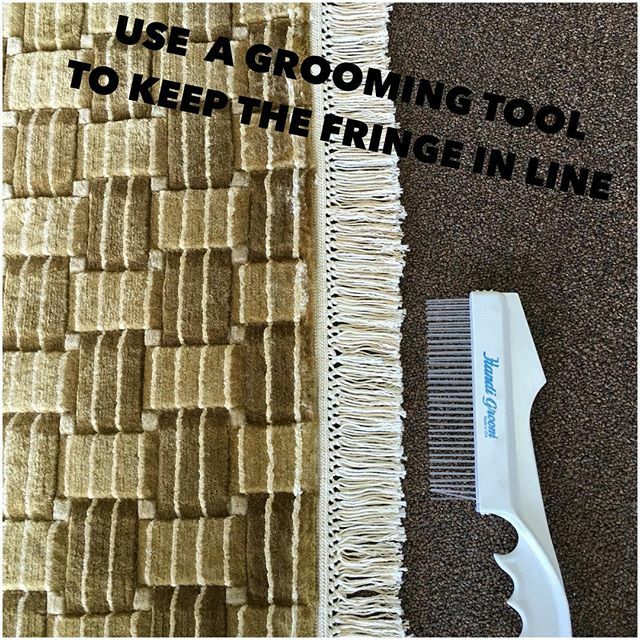 Keep vacuum cleaners and puppies who are still in the chewing phase away from your rugs with fringe. For all you perfectionists, designers and stagers who like to keep your fringe on-point, check out the picture of our special grooming tool (use it gently)! Do NOT attempt to trim or cut fringe yourself! This may cause the entire rug to unravel. 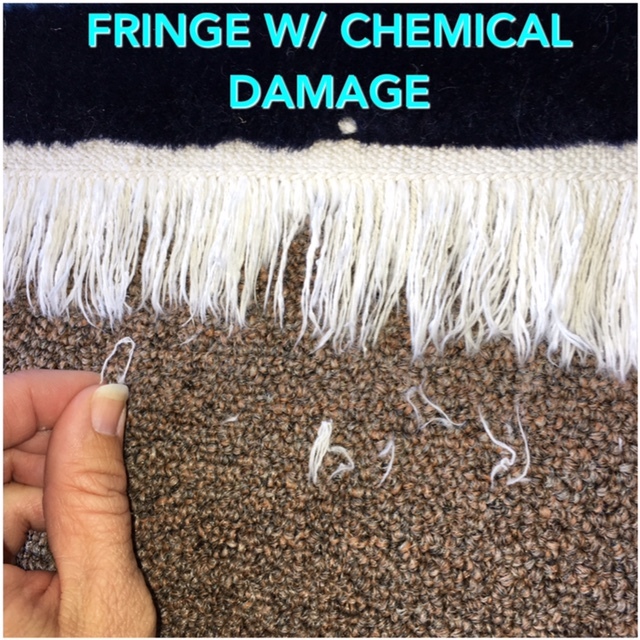 CALL US if you have any specific questions regarding fringe damage, trimming or removal so we can offer advice and help you explore options. We offer professional rug cleaning, minor rug repairs, and have rug pad for sale.